Home / malaymail / music / news / usher / videos / yuna / Yuna and Usher’s “Crush” music video is here! Yuna and Usher’s “Crush” music video is here! The long-awaited music video of Yuna’s latest single, “Crush” featuring famous American R&B icon, Usher is finally out! Directed by Daniel Carberry, the music video is shot in black and white at City Hall, Downtown Los Angeles. 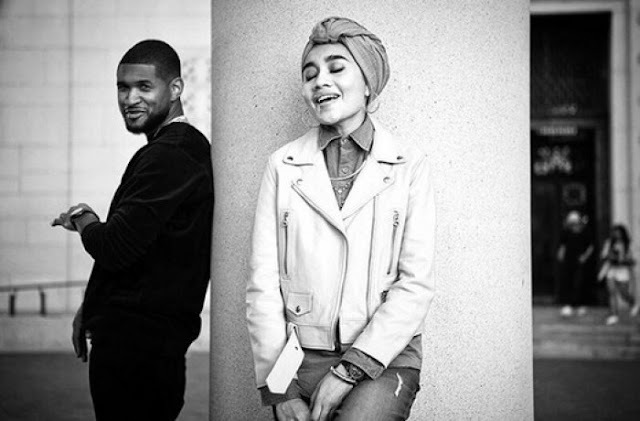 Yuna and her mentor Usher are seen to be serenading each other via their romantic smooth harmonies as they sing about the joys of having a crush on someone. The video also prominently puts the spotlight on two young kids, an Asian boy and an African American girl who seem to develop a crush on each other at first sight. Some netizen comments towards the video on YouTube approved of the concept utilised by the director for choosing to deliver the video in black and white, as this metaphorically represents that love doesn’t matter what the colour of your skin is. According to Yuna’s behind-the scenes clip of the video shoot, the song was inspired by some of the famous female singers from the 90’s like Alicia Keys, Aaliyah and TLC. Released from Yuna’s upcoming third studio album “Chapters”, “Crush” is the lead single of the album and will be available via Verve Records on 20 May 2016. Also, Yuna will be embarking on her American tour very soon, which will kick off on this Friday, 29 April 2016 in Washington DC. The 29-year-old songstress recently also lent her voice to the global promotional campaign of the Rio 2016 Olympics.